Circuit Switching vs Packet Switching: What are the differences? Understanding how devices connect to each other is one of the most important elements of networking. The more you know about how your network is tied together the better you are able to respond to performance issues and run in-depth troubleshooting. Circuit Switching and Packet Switching are two of the main models used to facilitate connections within enterprise networks. 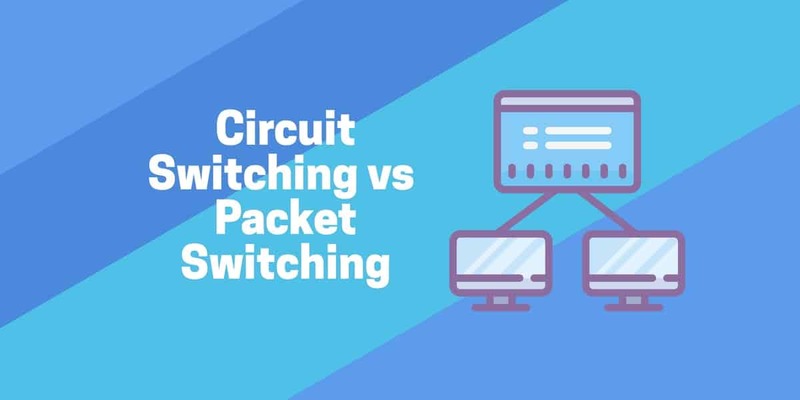 In this article, we’re going to look at circuit switching vs packet switching to see how these two models differ from each other. Circuit switching is when a dedicated channel or circuit needs to be established before users can speak to each other on a call. A channel used in circuit switching is kept reserved at all times and is used once the two users communicate. Circuit switching connections are classified as half duplex or full duplex. Half duplex communications allocate one channel and full duplex communications allocate two channels. Circuit switching is most commonly-used to sustain telephone systems so that whenever the phone is picked up the conversation can begin. Circuit switching is considered to be distinct from packet switching because it provides a physical path between the source and destination. Packet switching offers no such physical path for packets which travel independently through a range of routes. Packet switching is different from circuit switching because there is no requirement to establish a channel. The channel is available to users throughout the network. Long messages are broken down into packets and sent individually to the network. These packets are handled by datagram or virtual circuit. Datagram sends each packet individually and can travel any route. The problem with this method is that packets can arrive out of sequence or even be lost in transit altogether. On the other hand, a virtual circuit establishes a predefined route before the packets are transmitted. As a consequence routing decisions don’t need to be made for the packet path as they are with a datagram. Every packet contains a virtual circuit identifier (VCI) so that the packets can reach their destination. Call requests and accept messages are used to identify the route before packets are in transit. Packet switching is used to sustain data and voice applications that don’t require real-time service. The circuit switching model has become popular for many different reasons. One of the main reasons is that it decreases the amount of delay the user experiences before and during a call. Circuit switching is adept at making sure that delay is minimized during phone calls so that the callers can enjoy the best end-user experience possible. Packet switching is unable to sustain the same standard of service to users throughout the call. Under circuit switching the call will be provided with consistent bandwidth, channels, and an ongoing data rate. As a consequence, the user is able to stay on the phone for longer periods of time without running into any performance issues. Circuit switching also has the advantage of making sure that packets are delivered in their correct sequence. The lower level of delay makes sure that packets are delivered in order so that all the content in the call can be understood. Though circuit switching is ideal for voice communications it isn’t right for any other type of connections. The reason for this is that the channel is reserved for future conversations. As a consequence, circuit switching isn’t a good choice if you’re looking to use your resources efficiently. Dedicating one channel to a single service leaves it unavailable to other services. This disadvantage also doubles up to make circuit switching more expensive. It is expensive to provision an entire channel to one service and one individual path. However, even for calls circuit switching still poses challenges. If active users exceeds the number of channels you have available then calls will fail to take place or will be dropped in the middle. Administrators are under pressure to make sure that channels keep up. In addition, even setting up calls results in delay so the connection needs to be fully established before the conversation can take place. While packet switching may not be as suited to voice calls as circuit switching, it has a number of advantages that are hard to ignore. The main advantage that packet switching has over circuit switching is its efficiency. Packets can find their own paths to their destination without the need for a dedicated channel. In contrast, in circuit switching networks devices can’t use the channel until the voice communication has been terminated. Packet switching is also reliable because it helps to eliminate packet loss. With packet switching packets can be resent if they don’t reach their destination. This isn’t the case for circuit switching which doesn’t have the means to sent lost packets. As a result, packet switching is the more reliable method of the two because it ensures that packets reach their destination. Packet switching also reduces the costs associated with running the network. Packet switching networks can transfer general network traffic and voice traffic across the network without the need for a dedicated channel. This saves you money because you don’t need to pay to have one channel available for voice communications. The biggest limitation of packet switching is that it is unsuitable for applications that require minimal latency. In a network that uses lots of voice calls circuit switching is a necessity because it is the only setup that delivers a high quality end call. Packet switching can only provide a voice call experience that results in choppy audio that makes it difficult for the users to understand each other. Similarly, though packet switching is able to resend lost packets, this isn’t the case if the network becomes overwhelmed by traffic. If there is too much traffic then packets will be dropped in transit. The end result is the loss of important data. This risk is further increased by the lack of security protocols used to protect packets during transmission. There is no IPsec to give packets that extra barrier of security against damage. Though packet switching reduces costs in a number of ways it is significantly expensive to implement. Packet switching relies on a range of complex protocols which much be managed from deployment onwards. Circuit switching and packet switching are undeniably two of the most widely-used techniques for transferring data across enterprise networks. Both of these two techniques have their own space within modern networking. Using circuit switching allows you to keep a channel established for high priority voice calls to give the users the best chance to communicate with each other. In contrast, packet switching uses a more malleable approach so that traffic can travel a variety of paths. Which one is better depends on what you’re trying to achieve. If you want to ensure that voice calls are adequately supported so that delay is minimized then you’ll want to deploy circuit switching. However, if you need to sustain lots of services at once then you’ll want to use packet switching.